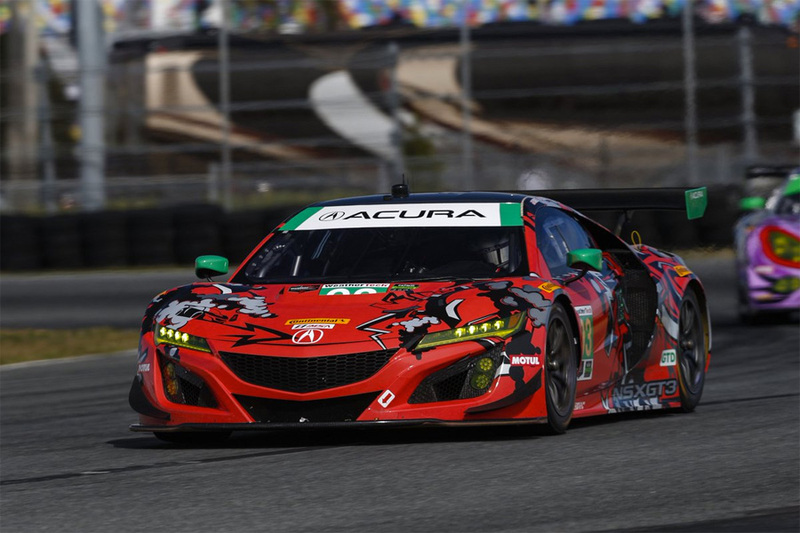 Jan 7, 2018 – DAYTONA BEACH, Fla.
An expanded Acura Motorsports effort for the 2018 IMSA WeatherTech SportsCar Championship made its public debut this weekend at Daytona International Speedway, with a pair of Acura ARX-05 prototypes and three Acura NSX GT3s featuring in final pre-season preparations at the “Roar Before the 24” open test. 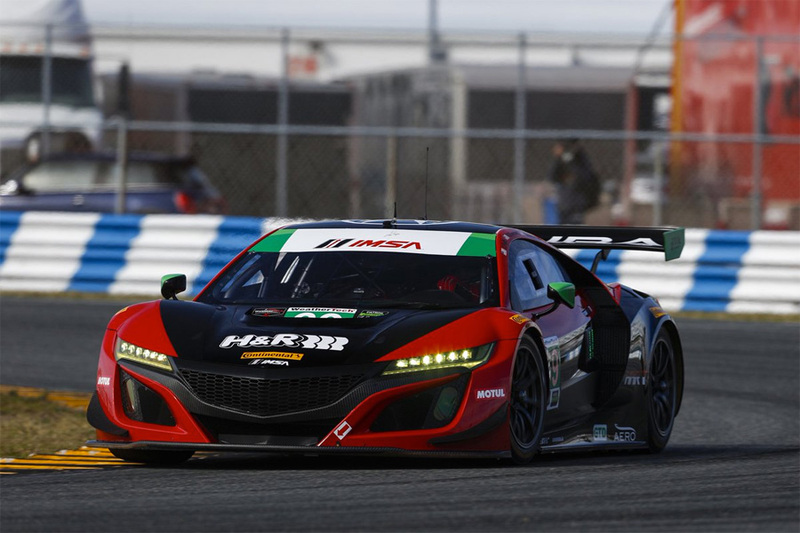 Acura Team Penske and the Honda of America Racing Team (HART) joined the returning, 2017 race-winning Michael Shank Racing organization as the combined Acura Motorsports program completed three days of testing, capped by a qualifying session to determine pit and garage allocations for the season-opening Rolex 24. 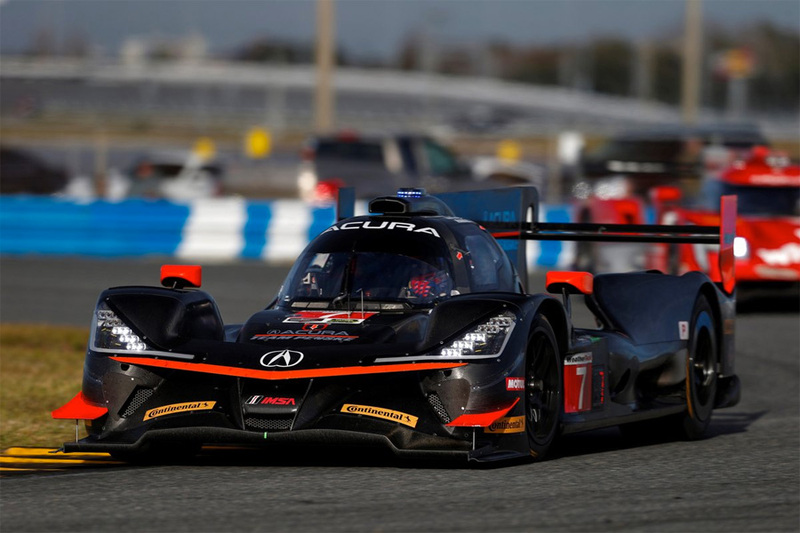 With the new Acura ARX-05 prototypes still clad in “carbon fiber black” testing colors, former series champion Dane Cameron led the way for the Penske organization with a fourth-place run in the 15-minute qualifying session on Sunday. 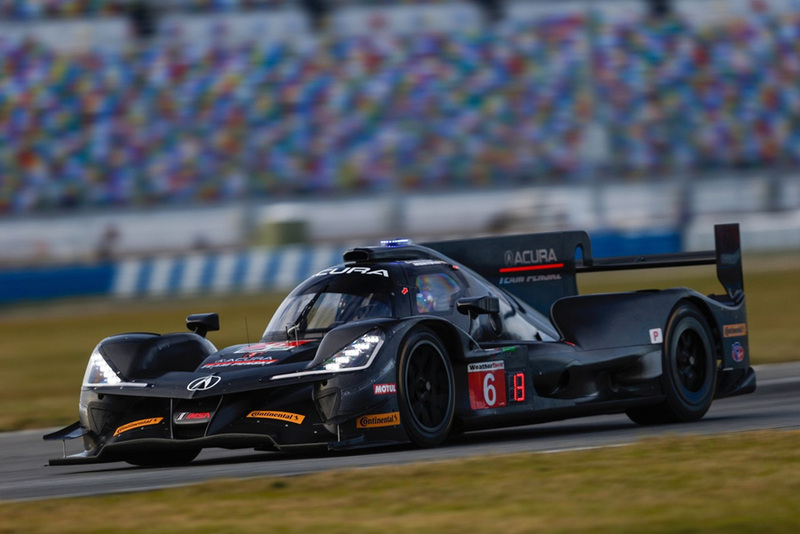 Cameron will be paired for the season in the #6 Acura ARX-05 prototype with former Indy 500 champion Juan Pablo Montoya, with former IndyCar series champion Simon Pagenaud joining the lineup for the Rolex 24 and other long-distance events. Driving the #7 Acura ARX-05, defending series champion Ricky Taylor posted the fifth-fastest lap in his qualifying run. Taylor will be joined for the season in the cockpit by three-time Indy winner Helio Castroneves, with IndyCar race winner Graham Rahal joining the driver lineup for the long-distance rounds of the series. 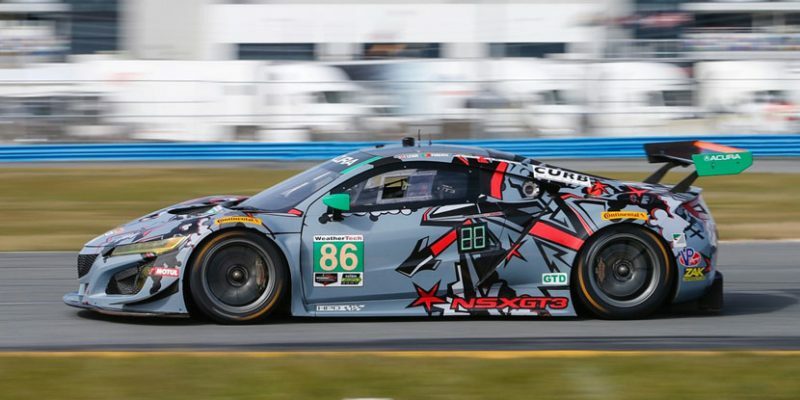 Michael Shank Racing returned with its pair of NSX GT3s to start the new season on a positive note, with Alvaro Parente running fourth fastest in the GTD class to lead the Acura effort. 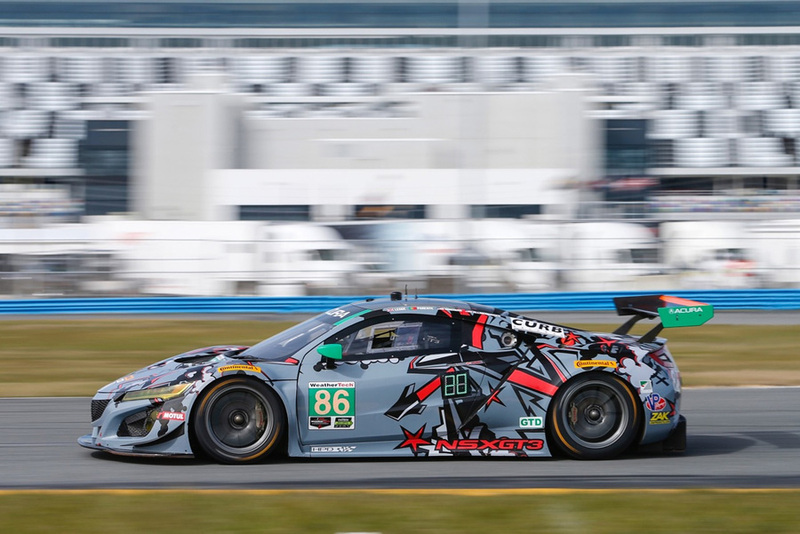 He will be joined in the #86 Acura at the Rolex 24 by 2017 two-time race winner Katherine Legge, rising star Trent Hindman and NASCAR race winner A.J. Allmendinger. Another Acura veteran, Ryan Eversley, took the Honda associate-led #69 HART NSX GT3 to the fifth-fastest GTD time during their 15-minute qualifying session. HART plans a partial season of GTD competition in 2018, with Honda associate Chad Gilsinger joining Eversley behind the wheel. For the Rolex 24, the two will be joined by Sean Rayhall and John Falb, who also partnered in 2017 to win a pair of LMP3 races in the European Le Mans Series. Driving the #93 Michael Shank Racing Acura, Lawson Aschenbach finished the brief qualifying session in 12th. The multi-time sports car racing champion will be joined by veteran sports car and NASCAR driver Justin Marks for the season; with race winners Come Ledogar and Mario Farnbacher coming on board for the Rolex 24. This week’s test at Daytona International Speedway completes official preparations for the January 27-28 Rolex 24, the twice-around-the-clock endurance contest that kicks off the 2018 IMSA WeatherTech SportsCar Championship. Video recaps from this weekend’s Acura WeatherTech SportsCar Championship test at Daytona International Speedway are being posted on the “Honda Racing/HPD” YouTube channel. Produced by the Carolinas Production Group, the video packages can be found in the 2018 HPD Trackside Video Playlist at: https://www.youtube.com/HondaRacingHPDTV.